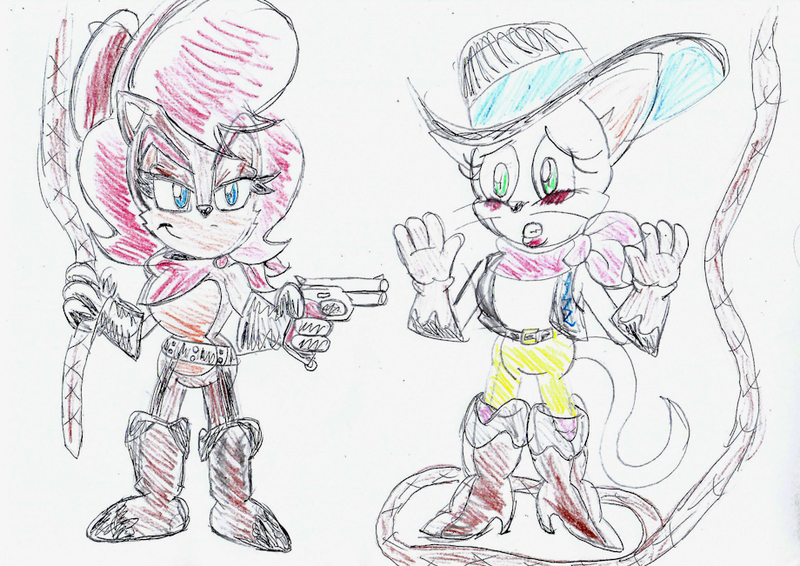 Well after leaving her job as a miner, with little to no cash, she started a life of crime, seeing the designer Miss Kitty in one of her new outfits near barn, she came up with a trap and pulled a pistol on her. Sally: Hold it Missy, step into the barn... NOW!! She was marched into the barn right into Sal's rope trap. also I just noticed... I sort of made a OC Sonic character for the first time (along with Sapphire I guess.. ^^; ) ... :O ... Knuckles?